Angel A is a world traveler who shares insights and experiences of global culture through narratives that are compelling, inspiring and insightful. 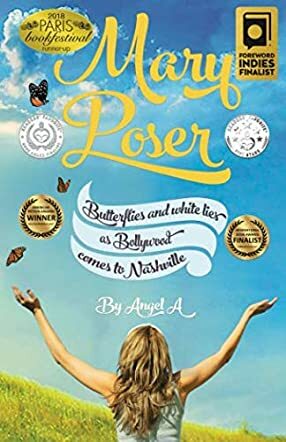 Mary Poser is Angel’s first novel. The passion and inspiration is to explore our inner world as revealed to us through the challenges, triumphs and revelations experienced in our outer world. This is the story of Mary and Simha, one a Christian and the other a Hindu, but their hearts want something that their minds will not allow. Mary spent her life being the perfect daughter, the perfect friend and the perfect person for everyone. But when it comes to herself, there is something that she has neglected for far too long. Simha Das came to the USA to make a movie, but he was not expecting to find Mary and fall in love with her. Falling in love with each other is easy, but the cultural and religious differences between them are holding them back. What can these two do? Can their love fight their differences and conquer them?